Week 2 was the week of offensive injuries. There were still plenty on the defensive side but the offense took all the publicity as usual. Greg Hardy (CAR DE): Hardy has been suspended indefinitely. This wasn’t an on-field injury but is probably a lot more damaging. With all the bad press the NFL is taking over off these domestic violence issues you can bet that anything like this is going to be made an example of. Based on that I would be looking elsewhere if you were depending on Hardy as your DL1 for the year. A name to keep an eye on is Mario Addison who had 2.5 sacks as a part-time player and fill in for Hardy in week 2. Gerald McCoy (TB DT): McCoy broke his hand and could be out for this week especially since it’s a short week. There is a chance he could play but I wouldn’t risk it since he would be playing with a cast and the rest of the line is injured and out anyway. Not a good situation in Tampa right now, I would stay away. Michael Johnson (TB DE): Johnson has an injured ankle that cost him week 2. At this time he is listed as questionable for the week 3 game on Thursday night. Just a nightmare situation and there are much better options out there. Jon Beason (NYG LB): Beason has been ruled out indefinitely due to the foot injury that has cost him a lot of time in the preseason. There is some talk that this could be an aggravation of the same fracture that cost him three months in the off-season. Look elsewhere for a linebacker. Vontaze Burfict (CIN LB): The Bengal suffered another concussion, although it was originally reported as a stinger. He is currently undergoing the mandatory NFL concussion protocol. That’s two in two week to go along with one late last season. Burfict is a beast when on the field but this has to be very worrisome moving forward. Vincent Rey is a sneaky add; he played outstanding in place of Burfict last year. The only caution here is Emmanuel Lamur, he has played great through two weeks and may steal the spotlight. Jamie Collins (NE LB): Collins was injured (thigh) late in the week and was inactive. I believe he is still a player worth monitoring in larger leagues as he is very athletic and can make an impact when on the field. Sio Moore (OAK LB): Moore had a huge week 1 and was in the midst of another good outing when he injured his ankle. He had an MRI on Monday but still wasn’t practicing as of Wednesday. Things aren’t looking good for this week’s game against the Pats. Mychal Kendricks (PHI LB): Kendricks injured his calf in Monday Night’s game and has been out all week. He’s had an MRI which tells us it that he’s probably suffering from more than a cramp. He’s say-to-day for now, but wouldn’t expect having him this week. 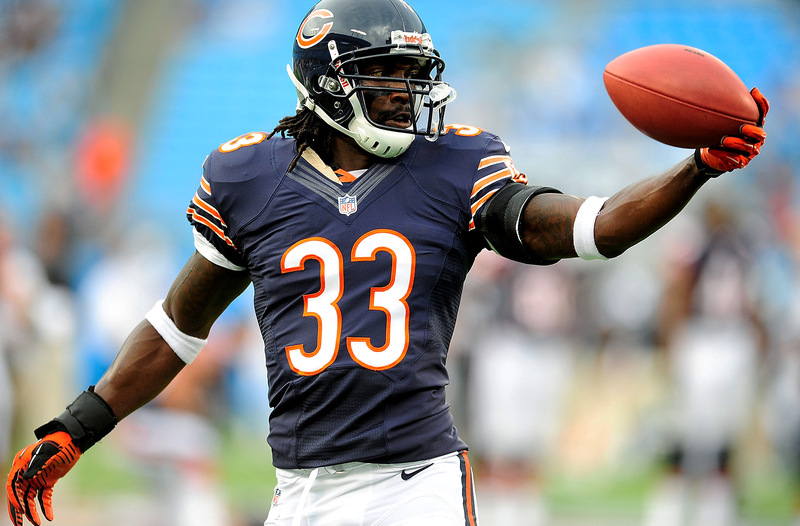 Charles Tillman (CHI CB): Tillman tore his triceps for the second straight year and has been placed on IR. Look for Kyle Fuller (who had two picks on Sunday) to join the starters and is worth a pickup especially in leagues that require a CB. Jason McCourty (TEN CB): McCourty left early on Sunday due to a groin issue. He was limited in Wednesday’s practice but I wouldn’t feel too good about him being available this weekend. Stay away for the time being. Eric Berry (KC S): Berry left the game with an ankle sprain and was not able to practice on Wednesday. This is a huge blow to the Kansas City defense who is already without key starters in the front seven. The Chief’s defense is a shell of its former self and should probably be left alone. If and when Berry does get back in the fold he could put up huge tackle numbers with the LB injury issues. Jonathan Cyprien (JAC S): Cyprien missed week 2 with a concussion but he has been cleared to play and should be good to go for week 3. Get him in your lineup if you usually start him. Mario Addison (CAR DE): He put up a huge line (2.5 sacks) while only playing 39% of the snaps in week 2. With Greg Hardy out on suspension he is worth a flyer to see if this production can continue. The Panthers defense is very good and Addison could put up some nice numbers for big play leagues if he can increase his snap count. If he keeps making the most of his chances the opportunity will be there. Willie Young (CHI DE): Young already has 3 sacks on the year and is putting Lamar Houston to shame. In about 50% of the snaps in week 2 he put up 4 solos and 2 sacks. In deep leagues he is worth a pickup to see if his playing time increases. William Gholston (TB DE): With the injury bug ravaging the defensive line for Tampa, Gholston should get a lot of playing time. He took advantage on Sunday with 4 solos and a sack, playing on 70% of the snaps. Someone has to play and opportunity is half the battle. I might hold off another week and see what he does Thursday Night, but he’s on the radar. Ryan Kerrigan (WAS LB): Kerrigan had a monster 4-sack game Sunday as part of the Redskins 10-sack performance against Jacksonville. Granted, it was against the Jaguars, but Kerrigan is definitely worth playing in big play leagues because he will be good for 10-12 sacks on the year. Brandon Marshall (DEN LB): Marshall proved that week 1 was no fluke. He will have another big opportunity in week 3 against the Seahawks, as they should run the ball a lot to try and keep the Denver offense off the field. As long as Danny Trevethan is out, Marshall should be started. Rolando McClain (DAL LB): Someone has to get tackles in Dallas and McClain seems to be motivated for the first time in his career. A #8 overall pick of the Oakland Raiders a couple years ago, he has busted out and retired a couple times but seems to have found a home in Dallas. He should be a tackle machine this year in Dallas. Jelani Jenkins (MIA LB): Jenkins led the Dolphins with 9 solos and 5 assists in week 2. He is a much better play in balanced leagues as he won’t get many sack opportunities but he is an every down option in Miami right now and will continue to rack up the tackles; a high floor play in balanced leagues at this juncture. Prince Amukamara (NYG CB): Amukamara has started off strong, averaging 6 solo tackles a game thus far. He is just good enough to be close but still allow completions. That’s gold for tackle numbers as a CB. Kyle Fuller (CHI CB): With Charles Tillman being placed on IR, now it’s the chance for this rookie to shine. He put up 5 solos and 2 picks on Sunday night and made some extremely athletic plays. Now that the job is his he should be solid as a rookie being picked on in the NFL and he is athletic enough to make opponents pay. Shane Gallimore is a fantasy football contributor for The Sports Script. Follow him on Twitter @Gally4!